Folder 'res' needs to be in same place as xword.html. If you&apos;ve received this app in a .zip file then make sure you extract all the files first. This is an old version of this crossword. The version you're viewing was uploaded at . Grid size: 15 × 15. × Edit grid: Here you can design a grid for your crossword. When you&apos;re happy with how the grid looks, click Words and Clues to put words on the grid and define clues. 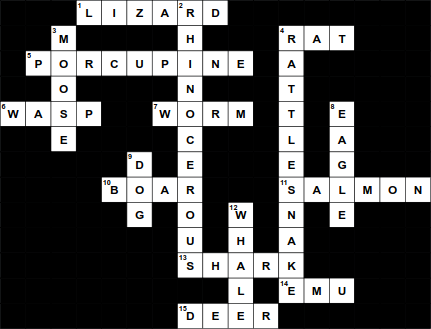 New crossword: You can pick a crossword grid below, or provide a list of words to include in your crossword. Great - now what sort of grid do you want to put these words on? I’ll build a new crossword using the words from your list. It’s likely to be more sparse than the pre-defined grids, and it won't be symmetrical. 3 of 23 words complete. 6/1007 checked.